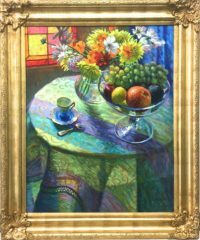 William Michaut French artist born in 1947, known for impressionistic style still life oil paintings. 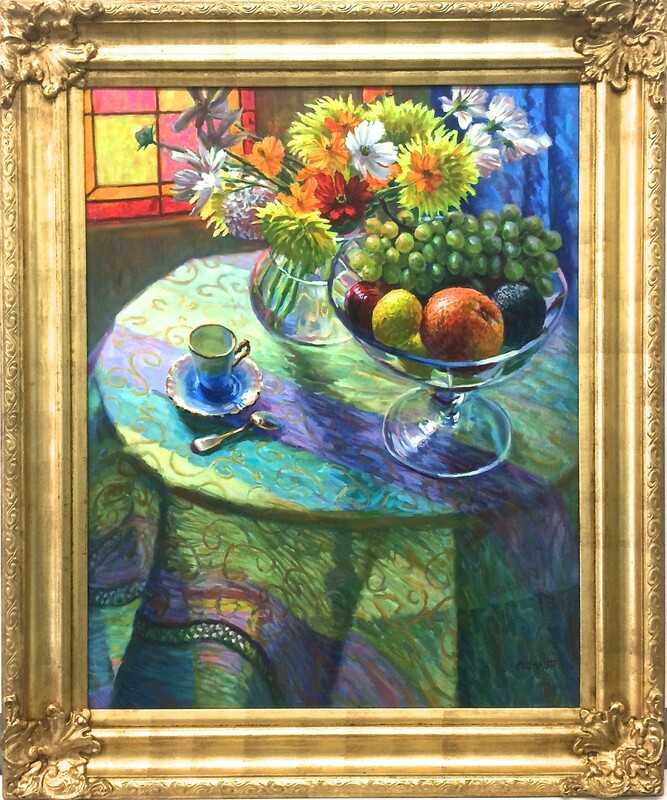 The painting is signed lower right corner MICHAUT elegantly displayed in a golden wood frame. Exhibition and gallery representation: Phillips-Flynt Galleries, Palm Beach Galerie Michele Birnbaum New York Karlsruhe Hanover Germany and more.